About the Book: Need some advice or help? Need protection from a bully? Visit the fourth stall, where Mac and Vince can offer their advice and assistance-for a fee, of course. Mac can solve problems and Vince is a whiz with money. Both boys are huge Chicago Cubs fans and they're saving up to see the Cubs in the World Series. When an older kid threatens the middle schoolers to pay up on their sports gambling debts, Mac and Vince are in for their biggest assignment yet. 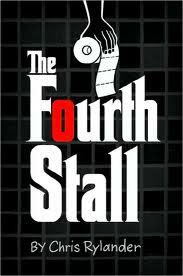 GreenBeanTeenQueen Says: The Fourth Stall is a funny noir-style tale of good guys and bad guys set in middle school. There is a memorable cast of characters, especially the various bullies that Mac and Vince use for favors in their buisness. While some of the storyline is over the top, the book is a lot of fun. The boys friendship and middle school politics ring true. The mystery is great and offers a few twists in the story to keep readers guessing. There is lots of humor and the book should appeal to readers of the Wimpy Kid books. I listened to the audiobook version which was very entertaining and I would recommend the book on audio as well. If you have mystery fans at your library, be sure to introduce them to this one. There's a sequel coming next year as well, so Mac and Vince's adventures aren't over just yet! Cover Comments: I really love the cover, but I wonder if tweens will get the reference to The Godfather. 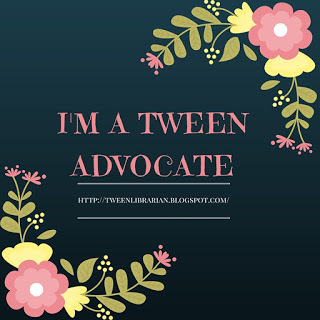 Even if they don't, I think the cover is funny and I think tweens will like it. There's a sequel coming out in February. I received an ARC from WaldenPress yesterday. I read and reviewed this book on my blog, too. I thought it was super funny! The only problem I had is I thought it was a little violent for the age group? What did you think? YA Reader-Yep! I mentioned that too-the sequel is sure to be popular. Gina-Maybe for younger tweens, but I didn't think it was anything more violent than other MG fantasy and adventure. I loved this book as well. Excited to read the sequel! i've wanted to read this book for forever, so excited when i saw the review! I loved this book too! I'm looking forward to reading more about Mac's business adventures.